I don’t know of any other place or country that celebrates Christmas as we do in the Philippines. Oh yeah, baby! We start with our Christmas anticipation as soon as -ber month begins! So, everyone’s jolly when we first hear christmas carols on the first day of September… Hahaha! And I am not exaggerating! Korea has improved in so many ways when it comes to the Christmas season. Ten years ago, you can hardly see any Christmas stuff around. 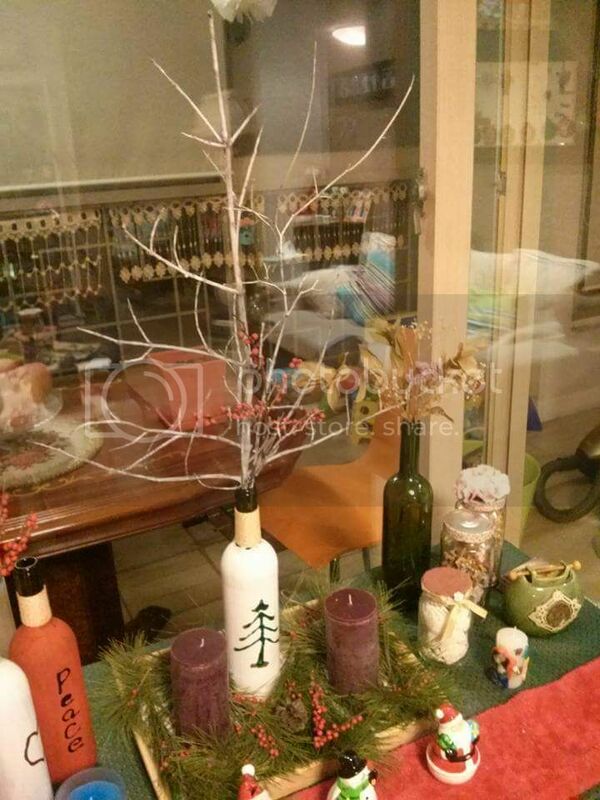 In the recent years, Christmas trees and Christmas decorations are everywhere. It’s nice to be festive, right? My family always go home for Christmas to the Philippines. Always. It’s different back home. And so, I have never really done any Christmas decoration in our apartment here in Seoul. But I promised myself to give our own little family our own Christmas spirit even if we have to leave for home for the holidays. So, I started decorating our own house with my own DIY stuffs. I have empty wine bottles in the house since I have become a junk hoarder. So, while my boys were sleeping one night, I brought out the bottles and the paints and paint brushes! 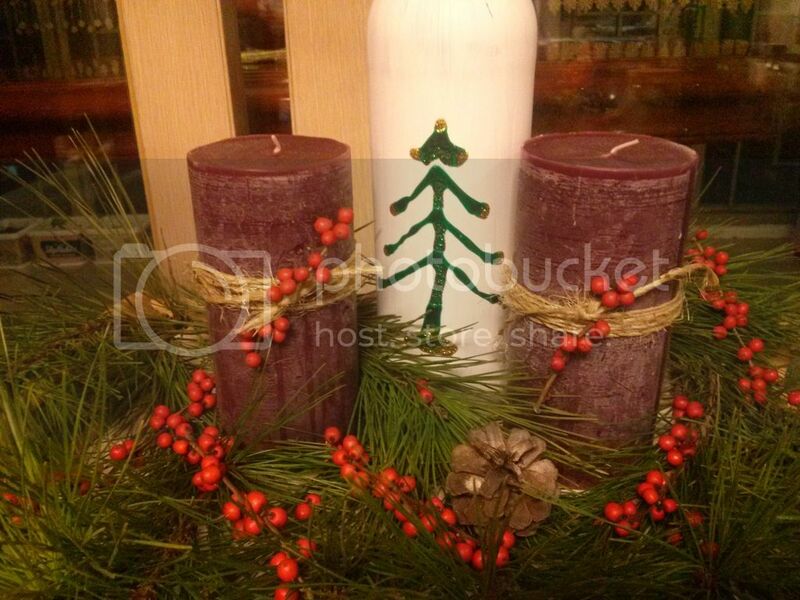 I added tiny cords and a stem full of berries… We’re Chrismassy! Another bottle got its own twigs and berries, too! A good friend whose into arts and crafts saw that photo above I posted on Facebook and suggested that I could try wrapping a cord around the candles, too! Thanks to her, it becomes more festive-looking after I added the cords and berries (these red berries are all over the neighborhood). 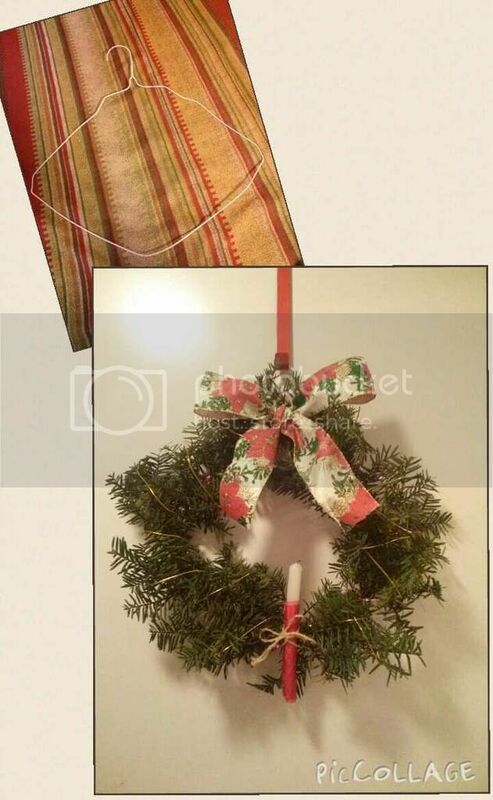 Thanks to Pinterest and our generous natural surroundings, we got our own Christmas wreath! Thanks to good friend Joel for taking time to edit the video. He wanted me to upload it immediately but I can’t edit it on my mobile so he did! Thank you:-). Have a Merry Christmas everyone! Me sending a festive spirit of this holiday season to you:-). Seems like you had lot of fun putting everything together. We did similar projects in Trinidad when I was there. Decorating my house at christmas time is one of my favorite things! 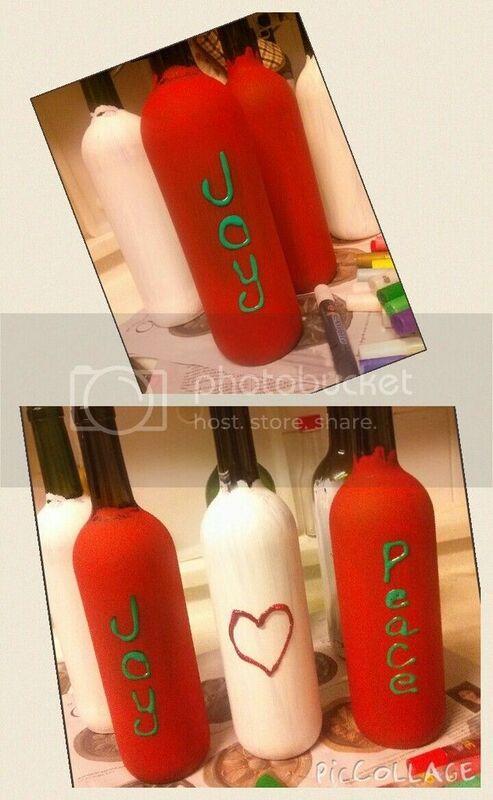 I love the idea of painting bottles, definitely going to try that next year! You are very crafty! 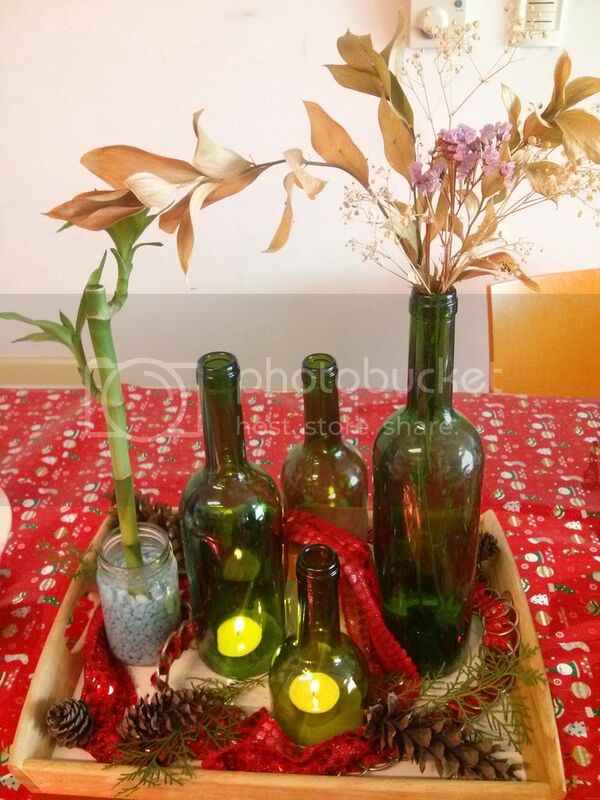 That homemade wreath and bottles are smart & a great way to recycle things. Did you end up having a nice christmas? Wow, nice work to you and your husband! All of those decorations are pretty impressive, and probably all the more special since you did the work yourself. I really miss being home for the holidays. I managed to make it last year, but this Christmas will be my 4th out of the past 5 away from home 🙁 It’s definitely the time I feel the most homesick. Hope you have a very merry Christmas and keep spreading that Christmas cheer! I hope you had a merry Christmas this year even if you’re far away from home. I love how festive you are! These Christmas decorations are so pretty and they look super simple to make. I definitely want to try these ideas next year! Yes, Gina, these are simple. And we have lots of materials from nature and from things around the house. I really love that wreath! I seriously hate those metal hangers as they always hang loose, so it’s great to know a new way to repurpose them! I’m loving all of your decorations – it certainly looks cozy in your home. Merry Christmas! 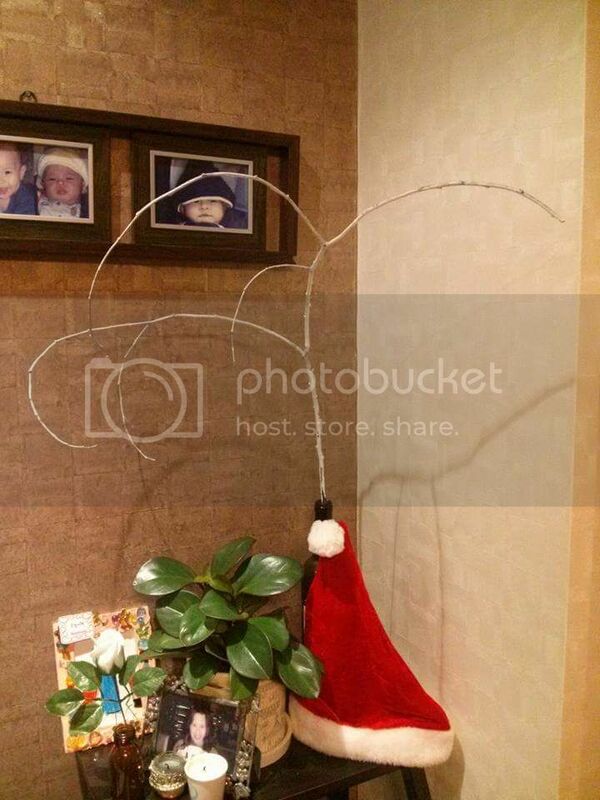 Nice job making your home so festive! 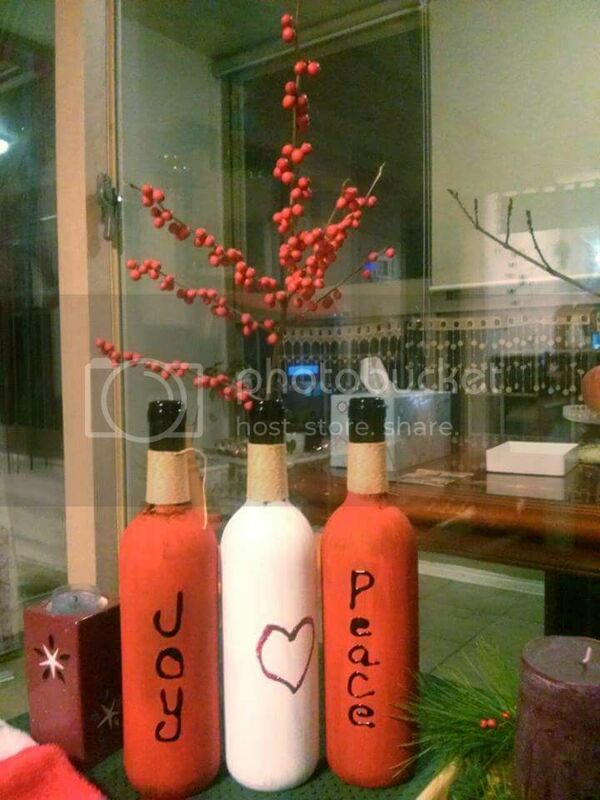 I love what you did with the wine bottles! We opted out of buying any christmas decorations since we would only be using them this year so we made our own decorations as well! Thanks for the DIY video too! DIY is a hit these days, right?mand it gives a different kind of feeling once you see your finished work.